For centuries nutrition has formed the basis for health. Herbs and spices help to treat various discomforts while also supplying the body with essential nutrients. We have compiled a list of 6 Ayurvedic herbs that are a must-have when you are following an Ayurvedic lifestyle. Ginger deserves its spot in your kitchen. Even though the medicinal benefits of ginger are well known, it is important to make a note of its anti-inflammatory effects. Ginger is often used to alleviate headaches, reduce joint pain and stimulate the digestion. It also helps when you are suffering from queasiness and nausea. Mixing 1 part ginger with 2 parts water, then applying the paste to the affected area and leave on for a few minutes, can counteract headaches. Ajowan: This Ayurvedic medicinal plant is perfect for curbing kappa and vata while increasing pitta. According to Ayurveda, ajowan is known for its cleansing properties. It stimulates digestion, soothes acidity and supports the function of the airways and liver. By creating a paste containing ajowan and jaggery it helps against the cold as well as soothing asthma. Ajowan is added to numerous dishes in India to support digestion. It can also be used in conjunction with spices such as curcuma and cumin or pepper. Liquorice has been used as an Ayurvedic remedy for a long time to treat liver disease such as fatty liver. 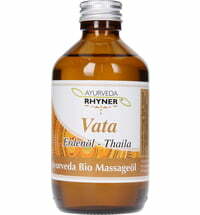 In Ayurveda, it is recommended for the treatment of colds, coughs and other bronchial irritations. It is also beneficial when comes to several skin problems, respiratory diseases and indigestion. Liquorice root can be formed into a powder and added to teas by adding the powder to boiling water. Simply let it brew for a few minutes. Tumeric: It is rare that one single herb offers an array of positive health benefits. Tumeric is a potent, anti-inflammatory and antibacterial herb that is used to treat wounds and infections. Furthermore, it reduces joint pain and helps to relieve colds and coughs. Tumeric is best served warmed up in milk. The herb is also incorporated into many dishes. Amla: The Indian gooseberry contains a high percentage of vitamin C and helps the liver to function optimally. Amla has been used in Ayurveda for centuries to treat a sluggish liver. It also supports digestion, metabolism, heart and respiratory system, as well as internal purification. Amla balances angi and restores ojas to support the immune system and long-lasting youth. Enjoy amla in its raw state or grated in salads. Tulsi/Indian Basil: The leaves of Indian basil are used due to their high antiviral, anti-inflammatory and antibacterial effects. Due to its antiseptic properties it is often used to treat wounds. When suffering from a cold, chewing on a few Indian basil leaves does wonders in treating congestion, or add some leaves to boiling water to counteract soreness of the throat.